the Prime Minister Prince Khalifa bin Salman Al Khalifa, the organization successfully conducted the first event in May 2013. 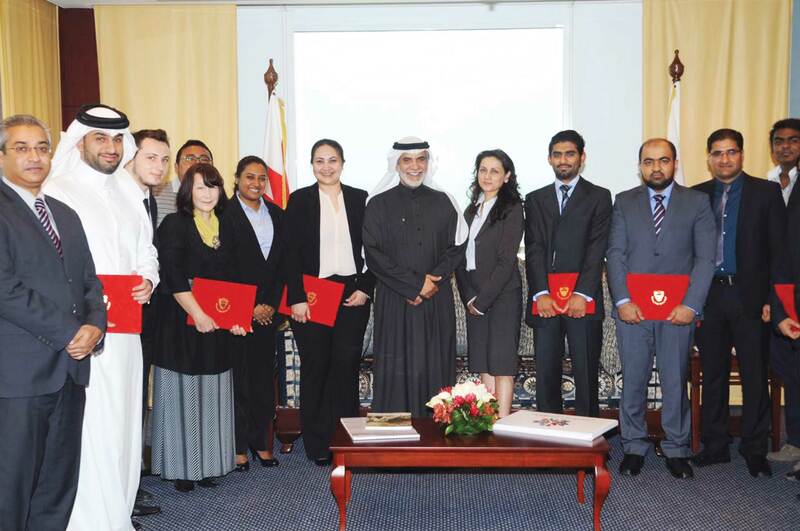 The motive was to encourage different communities in Bahrain to showcase their culture and highlight the strength of “unity in diversity” in the Kingdom of Bahrain. the team, since their efforts and commitment being recognized by the head of government. The first event was a non-profit initiative and conducted with the support and sponsorship from the private sector. The participated communities ensured media exposure across the Middle East, North Africa, East Africa, Pakistan, India and Asia for the event. “Bahrain for All, All for Bahrain” strives to reach a wider audience to demystify their misconception of Bahrain and to ensure that voices of the people, who call this country as their home would be heard. ‘Bahrain for All, All for Bahrain’ was essentially an event by the people for the people, who call Bahrain as home. It was a vibrant celebration of gratitude to the leadership as well as endorsing their contribution to the country even during difficult times. The event reinforced the message that despite any challenges, the people stood strong with the leadership and remain loyal to the Kingdom and would continue to contribute to the growth of the country while promoting and respecting the Arab culture. Even after the glorious concept and visualization, the 2013 event had the minimal participation of just seven communities and struggled to book 100 market stalls. However, for the BHR4ALL 2017 event, more than 40 embassies, clubs, societies, and organizations, including 12 directorates of the Ministry of Interior (MOI), and almost 250 market stalls have confirmed participation. Children with special needs, women’s groups and senior citizens’ NGOs are personally invited to ensure that the message will be passed to the society that we can only live as ‘one’ only when we integrate everyone within the system. When ‘Bahrain for All’ was conceptualized, it was a tactical plan however, this has developed into a strategic tool to reinforce the message that the leadership is dedicated to all citizens and residents in Bahrain. ‘Bahrain for All’ defies misinformation and as one of the sponsors said “Bahrain for All is not just an event anymore – it is now a movement”. The theme “unity in diversity” is the philosophy of ‘Bahrain for All’, and is a proclamation of the Bahrain leadership’s espousal to everyone from all walks of life.